Virtual Organizing-Is it for You? 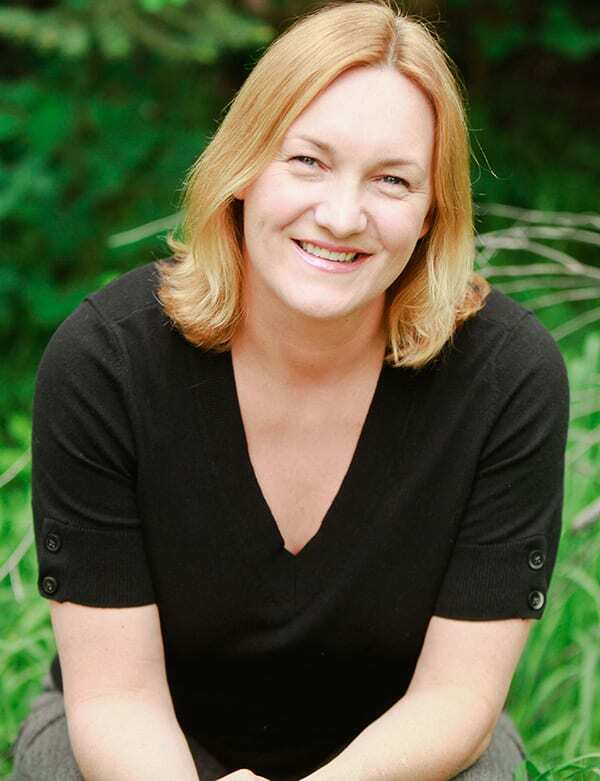 Certified Professional Organizer®, Sarah Buckwalter, has over 17 years of experience running an award-winning organizing business, Organizing Boston. With a desire to help everyone get organized, Sarah developed Organizing U. Organizing U offers a professional organizer directory, online courses and virtual organizing programs to help people live more organized lives. Organizing U also offers training programs for Professional Organizers. Virtual organizing is a new field for the Professional Organizing industry in Canada. How well established is virtual organizing in the United States? Virtual Organizing is a new field in the US as well. While there are a handful of organizers who are offering virtual organizing in the US, many are just learning about it and starting to explore it. Virtual organizing will be the perfect solution for some people but not for others. Who do you think benefits from virtual organizing as compared to working with a professional organizer in person? The people who get the most benefit out of virtual organizing are those who are able to do the physical work themselves, but just need (or want) the direction and expertise of a professional. Virtual organizing is great for those who need some accountability while they work through their organizing project. If someone is unwilling or unable to do the work themselves then they will not benefit from virtual organizing. When you are communicating with your virtual clients do you like to use the telephone or some other technology? Which technologies have you found to work well for communicating with your clients? I prefer to use video because you can see the space first hand. I think it allows you to achieve a greater connection with the client because it feels as though you are there with them. I find Skype and FaceTime to be the best platforms. Skype works on any device, so that would be my first choice. When a client has hired you to work with them, what are your next steps in helping that client become organized? My first step is always to create an organizing plan with the client. This helps outline the scope of the project for the client and is great to be able to refer to as we go to gauge progress and help stay on track. The next step is to set up a regular meeting schedule to see the process through. Then, we get started and work through the plan. In all organizing jobs some clients are more successful with organizing and other clients continue to struggle. What tips do you have to make your clients’ organizing projects a success? 1. Have a written plan. It helps the client through the process to be able to check things off as you go. 2. I have a signature process that I apply to every organizing project. I find that organizing is more effective if clients can follow specific steps and apply the same process to each space. 3. Keep a consistent schedule. Don’t end the session without scheduling and creating a plan for the next session. 4. Go above and beyond. Clients will respond well to your extra efforts. 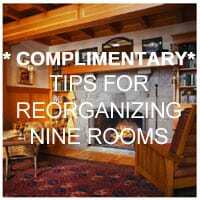 If you feel virtual organizing is something you would like to try, contact Mind over Clutter and discuss it with Julie. I offer virtual organizing and I think it has many benefits. One situation where it has worked particularly well has been for clients with whom I worked in person, but they have now moved. This is a natural extension of our relationship. I can guide them and give instructions that they have already learned and just need a bit of expert guidance (and accountability) to execute. Virtual organizing has many benefits. I like that when Sarah moved away from her clients she could keep working with them virtually. When your clients move away from you, you can keep working with them virtually. Great post! I also find that video is best for virtual organizing. I also think Facetime on iPhone or iPad also works well if both people have an iPhone or iPad. This service also is perfect for individuals who are DIYers and need just the guidance to keep them on schedule to finish the project. I agree with Seana; it works for clients who have moved too. Helping clients to feel confident about using video is a stumbling block for me. Certainly having as many video options available for clients to use so they can use the one they know best is important. Excellent post. Thanks to Sarah courses and training on virtual organizing, I also offer virtual organizing. It’s a great solution for DIYers. I use Facetime, Facebook (Video) Messenger and Duo app to help guide my clients through the process. Sarah is so willing to share and teach. She is a fantastic resource on many subjects. Very informative interview, both for individuals needing to get organized, and for professional organizers interested in adding a new service to their offerings. Great job, Julie and Sarah! I found it interesting compiling the questions and blog that it could be read by people want to use the service or offer the service. i hope both groups gain valuaable information.